When I first started ice fishing I wasn't fortunate to have a portable ice shanty but wanted to get out and try the sport to see if I liked it. I picked up a couple tips that first year that could help a new sportsman enjoy the sport I now love. I use fireline when I am fishing inside of a shanty because of the no stretch properties and the added sensitivity. When I am fishing outside of a heated shanty, I only use monofilament. Monofilament line doesn't ice up as bad as fireline and the loss of sensitivity doesn't matter because you will most likely be wearing thick gloves. When you are fishing on a bucket, you will not have the advantage of sight fishing unless you have fancy electronics. You will need something to detect the bites. I use a spring bobber, available at any baitshop, or a Panfish Popper rod made by Frabill. This rod and reel combo has a bobber built right into the pole. An interesting thing about using a spring bobber, is that depending on the bite, the spring bobber may be doing something different when it is time to set the hook. One day the bobber may need to go all the way down before you react. Other days, the bobber may actually go up when the fish is ready to be hooked. I find this challenge addicting and is one of the many reasons I always want to go back on the ice. You are on a bucket and are not tied down so keep your blood pumping and move if you don't get a bite for 10 minutes. Once you pull a couple of good fish out of the same hole and the action dies down, drill another hole close to the hot hole but come back to see if the fish moved back in. Buy a black 5 gallon bucket from a store or spray-paint one you have at home black and cut it in half. 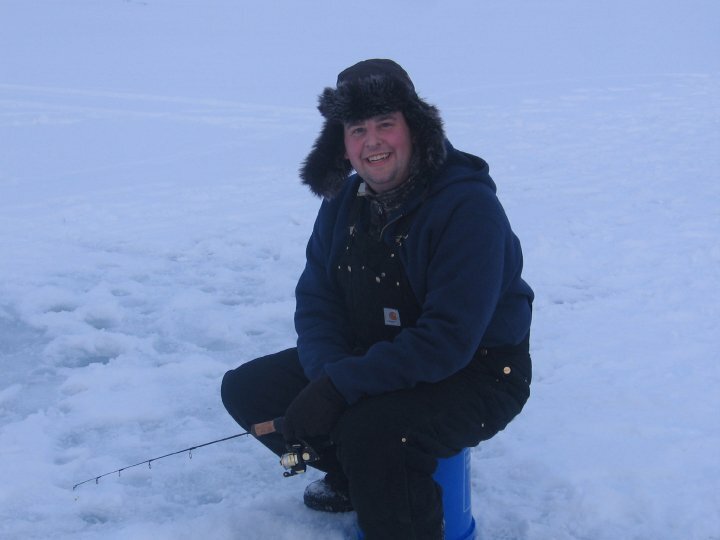 When you go ice fishing, set the bucket upside down with the part that was cut open facing up. Place the bucket over the hole you are fishing out of. The black color will attract the sun and the hole will not freeze up.